Scholar Mark Shiel, editor of Cinema and the City: Film and Urban Societies in a Global Context, calls film the twentieth century’s most important cultural form and the city its most important form of social organization. It makes sense, then, to examine the ongoing dialogue between the two. 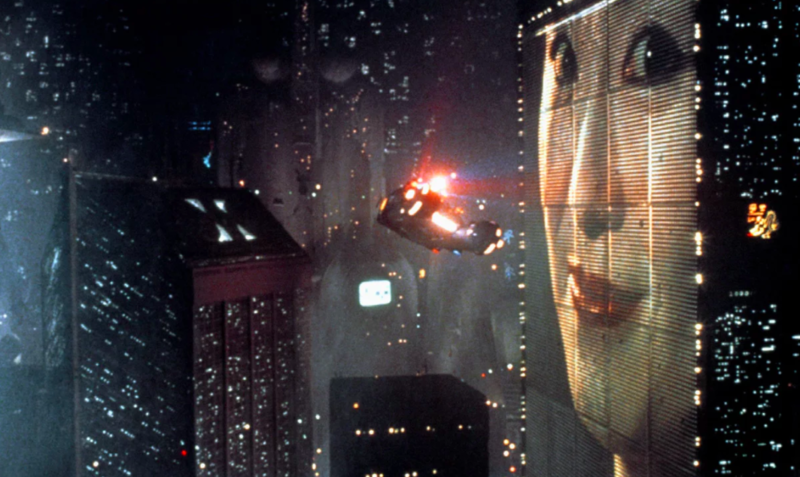 How have present-day fears and aspirations shaped our visions of the future? 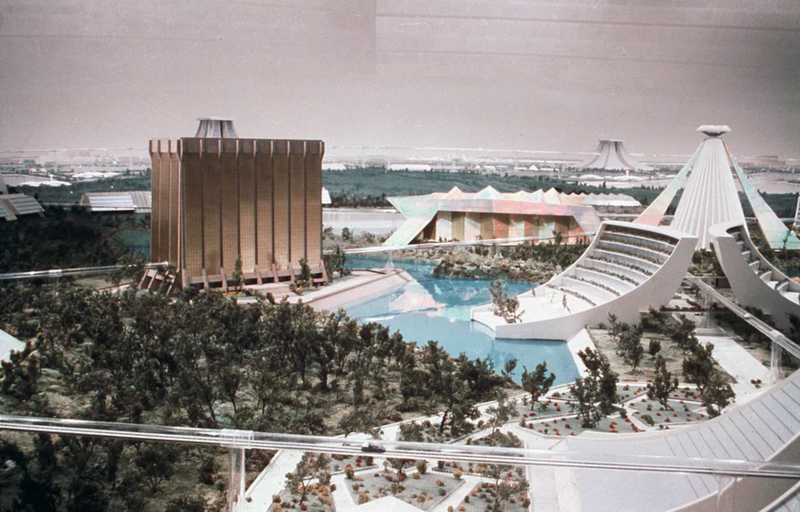 And how have those visions become the cities that serve as both setting and character in films? An excerpt is presented below; you can find the full article here. “Is our urban future bright or bleak? Peter Bradshaw provides a selection of celluloid cities you might consider moving to – or avoiding – if you are looking to relocate any time in the next 200 years or so. 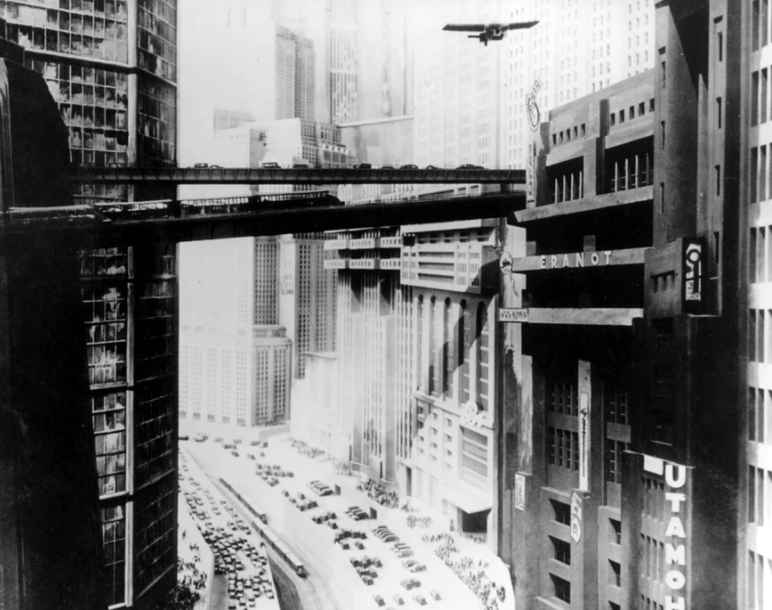 Metropolis is the architectural template for all futurist cities in the movies. It has glitzy skyscrapers; it has streets crowded with folk who swarm through them like ants; most importantly, it has high-up freeways linking the buildings, criss-crossing the sky, on which automobiles and trains casually run — the sine qua non of the futurist city. Metropolis is a gigantic 21st-century European city state, a veritable utopia for that elite few fortunate enough to live above ground in its gleaming urban spaces. But it’s awful for the untermensch race of workers who toil underground. Made when New York still had its tasty crime-capital reputation, Carpenter’s dystopian sci-fi presents us with the New York of the future, ie 1988, and imagines that the authorities have given up policing it entirely and simply walled the city off and established a 24/7 patrol for the perimeter, re-purposing the city as a licensed hellhole of Darwinian violence into which serious prisoners will just be slung and then forgotten about, to survive or not as they can. Then in 1997 the President’s plane goes down in the city and he has to be rescued. New York is re-imagined as a lawless, dimly-lit nightmare. Not a great place to live. This is set in an enclosed dome city in the post-apocalyptic world of 2274. It looks like an exciting, go-ahead place to live and it’s certainly a great city for twentysomethings. There are the much-loved overhead monorails and people wear the sleek, figure-hugging leotards, unitards, and miniskirts. The issue is that people here get killed on their 30th birthday. Some people escape the dome city to find themselves in deserted Washington DC, which is a wreck by comparison. This film presents us with Los Angeles 2019, a daunting megalopolis in which “replicants” may be hiding out — that is, super-sophisticated organically correct servant-robots indistinguishable from actual humans, who have defied the rules forbidding them to enter the city. Special cops called “blade runners” have to hunt them down. The city is colossal, headspinningly big, a virtual planet itself; it is cursed with terrible weather, with very rainy nights, but interestingly hints at the economic and cultural might of Asia with loads of billboard ads from the Far East. Again, the crime figures may make this city a bit of a no-no. Alphaville is a city on a distant planet and a very grim place, subject to Orwellian repression and thought-control by its tyrannical ruler, an AI computer called Alpha 60. The city is seen largely at night, with drab buildings which have neither the techno-futurist furniture nor the obvious decay that you expect from sci-fi dystopia. 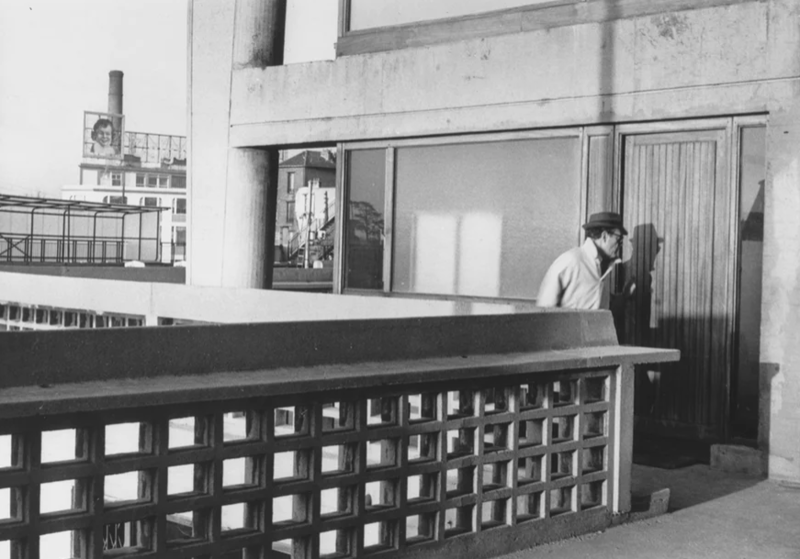 This is because it was filmed in 1960s inner-city Paris: Alphaville is the French capital’s intergalactic banlieue twin-town. 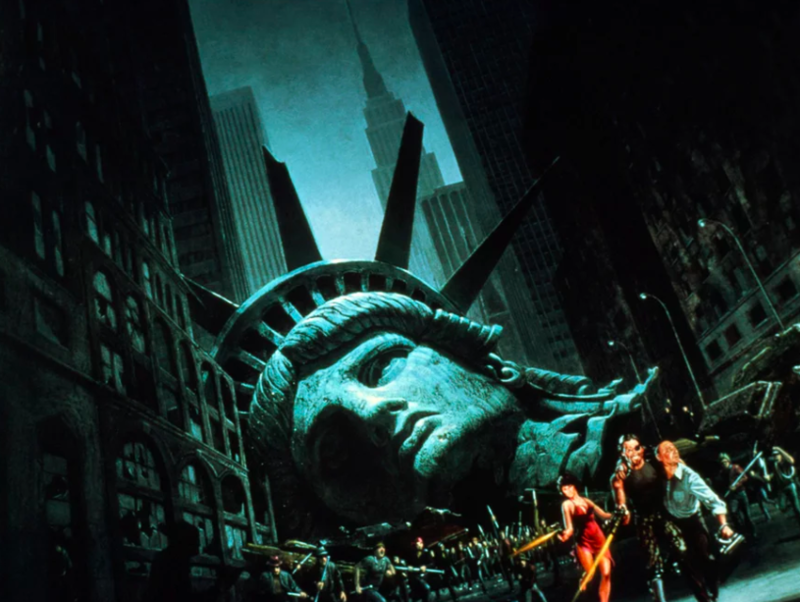 Again, this isn’t a great movie-futurist city to settle down in, although the property prices are probably reasonable. Previous Previous post: What Does it Mean to be a Green City?